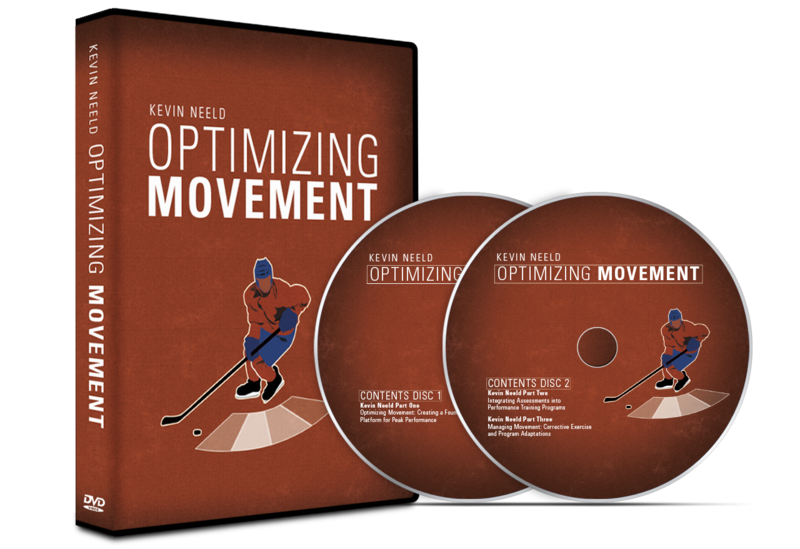 Optimizing Movement is a 2-DVD set that details foundational concepts in maximizing movement quality. Kevin breaks down the fallacy of assumed postural symmetry, discusses the influence of regional interdependence on performance, offers simple assessments to identify “abnormal” sturctural or positional deviations, and presents exercises and program design strategies to help “correct” or train around any notable limitations. Simply, Optimizing Movement is the key to creating a solid platform for the development of peaks levels of fitness and athleticism. Breakaway Hockey Speed is a 25-page manual that outlines how to change your body position to maximize the power of your stride and reveals the truth about which stride pattern is better: short choppy strides vs long powerful strides (this will surprise you!). Breakaway Hockey Speed includes 6 Linear Speed Drills, 15 Transitional Speed Drills, and the information you need to integrate a comprehensive speed training program into your current training program. This manual is exactly what you need to become faster and more explosive on the ice! 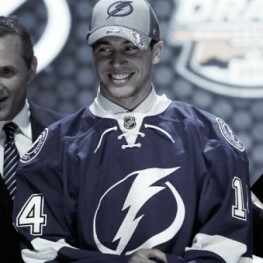 Speed is your 1st key to ice hockey success. Ice hockey is one of the most physically and mentally demanding sports in the world. Competing at elite levels requires a unique combination of refined skill and overall athleticism. Without exception, truly maximal performance stems from comprehensive preparation. In Ultimate Hockey Training, hockey development expert Kevin Neeld details exactly how you should design and progress your off-ice training to continually improve on-ice performance. Neeld’s system includes assessments, exercise progressions, and year-round training guidelines to help you realize your full potential. Specific injury prevention strategies are identified to not only make you a faster, stronger, and better conditioned player, but also more durable one. Ultimate Hockey Training is the most complete hockey training system ever developed, a must-have resource for any player or coach. 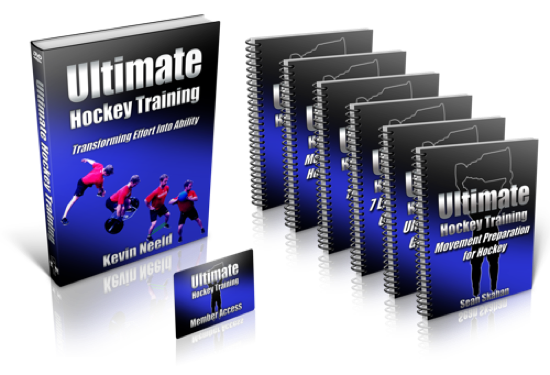 Ultimate Hockey Transformation gives you immediate access to Kevin’s proven training programs that are guaranteed to deliver game-changing results. The package features in- and off-season off-ice training programs for players competing at the U-14, U-16, U-18, Junior and College levels, and is supported by a comprehensive exercise video database so you can see exactly how to perform every exercise with perfect technique. 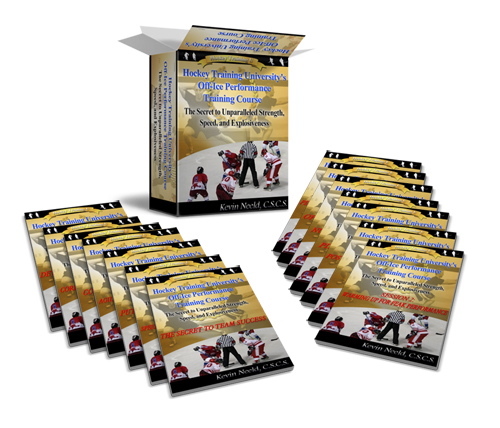 Ultimate Hockey Transformation also includes a 65-page manual outlining everything you need to know to successfully use the program. 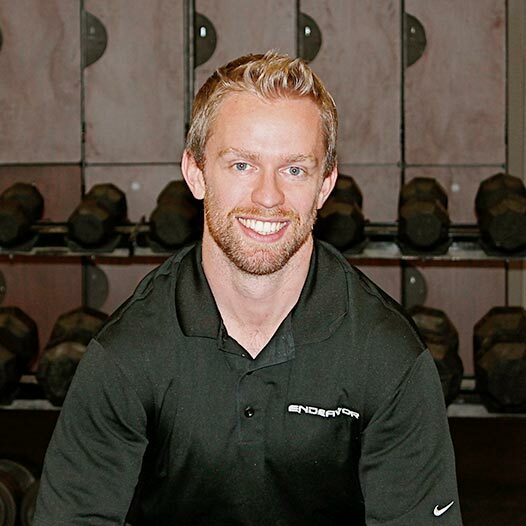 Getting Ultimate Hockey Transformation is like hiring Kevin as your personal coach, for your entire career! Kevin has teamed up with Michael Boyle (Boston University), Sean Skahan (Anaheim Ducks), and Mike Potenza (San Jose Sharks) to put together what people are calling “The Greatest Collection of Hockey Strength and Conditioning Coaches on the Planet!” HockeyStrengthandConditioning.com is the first ever hockey training membership site LOADED with tons of programs, innovative exercise videos, hockey-specific articles on training, injury prevention, mental training, and nutrition and supplementation, and an open forum for players and coaches to communicate with experienced hockey experts. With contributions from over a dozen NHL and NCAA Division I Strength and Conditioning Coaches, this site is REVOLUTIONIZING hockey player development. Kevin is the author of Hockey Training University’s “Off-Ice Performance Training Course“, the first product on the market geared toward helping hockey players and coaches of all age-levels and abilities design and implement effective off-ice training programs. This incredible resource includes three FREE bonuses (valued at over $250! ): “Complete Hockey Nutrition and Supplementation”, “The Secret to Team Success Guide”, and 1-Week Pre-Season Training Guide. Kevin gathered the world’s top experts in performance training, injury prevention and rehabilitation, sports nutrition, on-ice skill development, and career advancement for the most in-depth hockey development interrogation ever conducted. In these 12 Coaching Calls, you’ll here these experts tell you exactly what strategies they use to build strong, fast, injury-resistant, skilled, mentally tough hockey players. Because all the calls are downloadable MP3s, you can listen to the calls on your iPod, MP3 player, or phone at your own convenience! In addition to these 7 high-quality guides, Dr. Berardi includes a copy of Gourmet Nutrition, a cookbook filled with delicious, easy-to-prepare meals, and access to the Precision Nutrition membership site where you can interact with experts in the areas of nutrition, supplementation, fat loss, and training, as well as a community of people working towards the same goals as you. Investing in this single product has made a greater impact on my health, body composition, and training progress than any other resource.